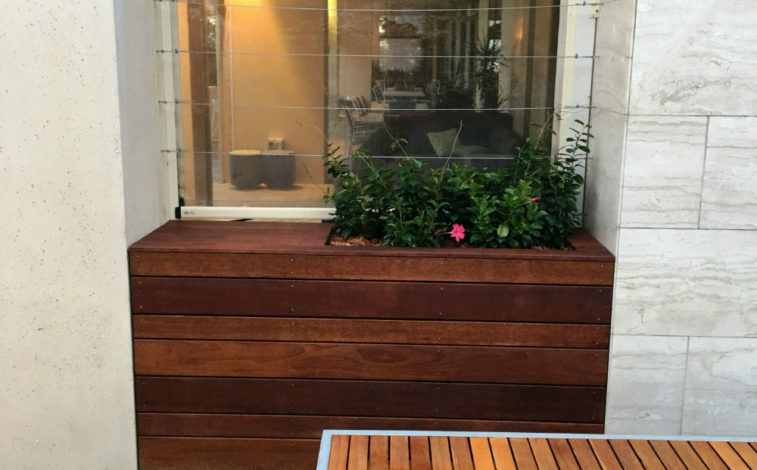 Our range of Glass Reinforced Concrete (GRC) planter boxes are the ideal solution for projects where strength, versatility, and aesthetics matter. 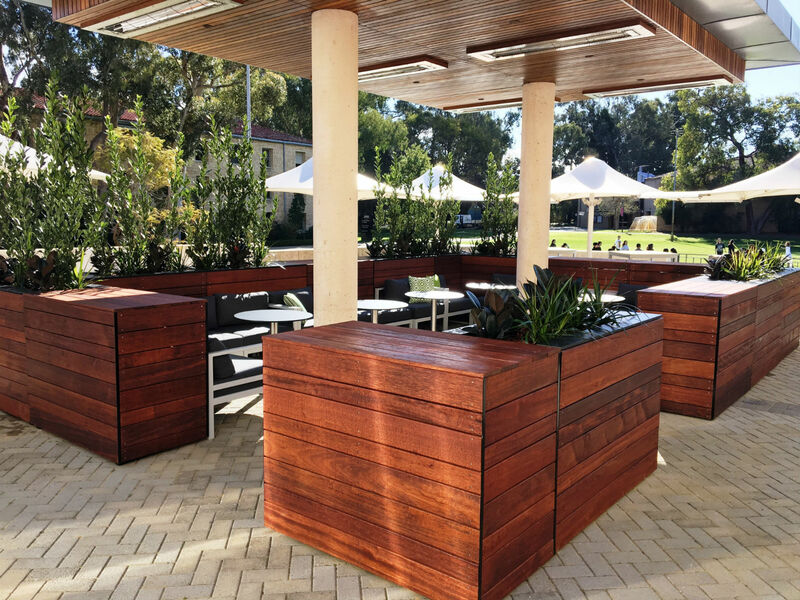 A project recently completed by Western Projects for the University Club of WA beautifully demonstrates how our planter boxes can be used as both a design feature, as well as a strong, but lightweight solution for our clients landscaping needs. 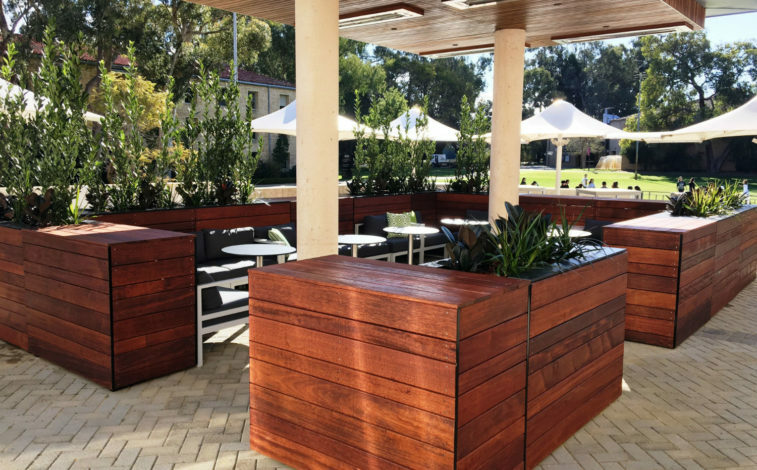 In this project, Mascot’s Glass Reinforced Concrete planter boxes were clad in timber panelling to integrate seamlessly with the overall design for the outdoor area of the club. 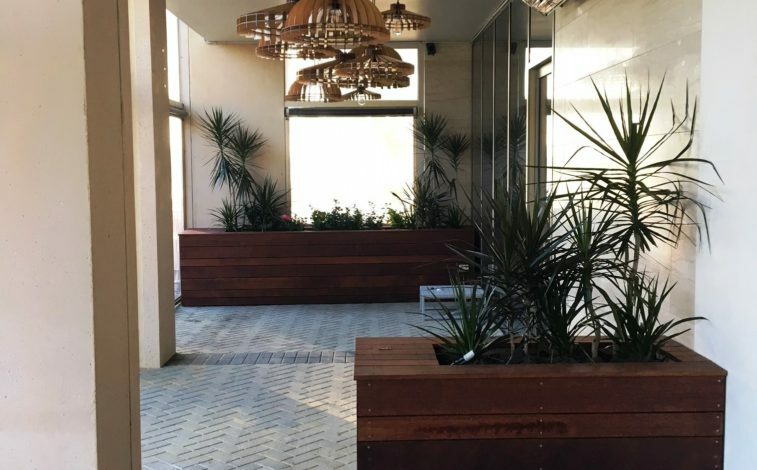 Our planter boxes not only served as support for greenery in the space, they also provided structural separation for the outdoor entertaining area. 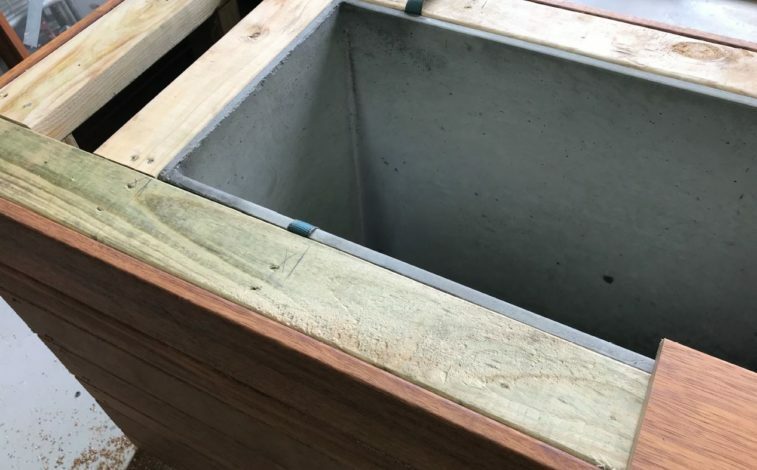 Mascot’s range of GRC planter boxes are provided as a raw concrete finish for that ultimate industrial look, however, they can be painted or clad in any material you like. Aesthetics are always important, however, so is function and integrity. 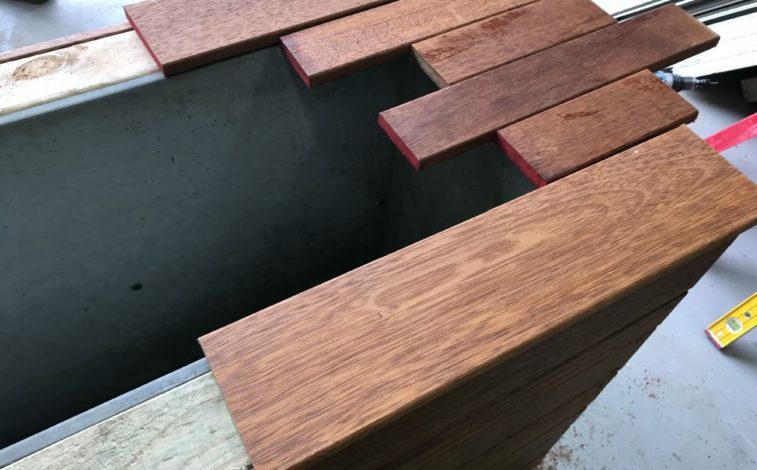 The lightweight nature of Glass Reinforced Concrete means that our planter boxes are the perfect solution for high rise developments and roof top gardens. You’re only limited by your imagination! 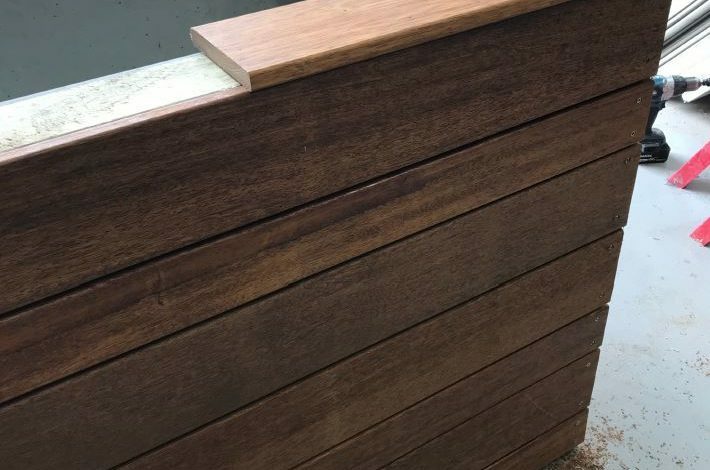 For more information on our range of planter boxes, contact our sales department on 1300 885 295.